I picked up a new toy I’ve wanted for a long time and finally pulled the trigger on it. 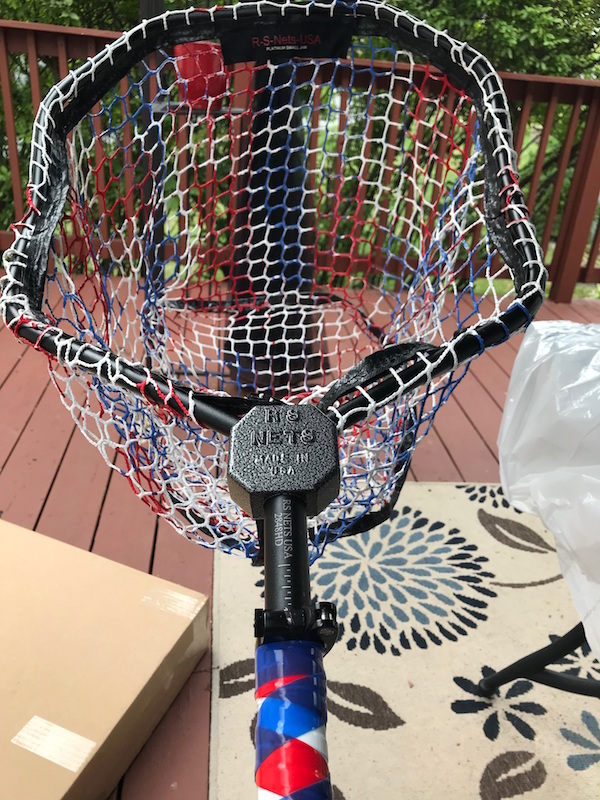 I purchased an RS NETS Platinum Small Jaw landing net, and this thing is a beast. I spoke to the owner Roman Schlabach directly because I wasn’t sure what exactly what model I wanted. I mostly fish on my boat, and I mostly target Bass, both Largemouth and Smallmouth bass so we both agreed that the Platinum Small Jaw landing net is the one I wanted. I had one request, I wanted the net to be Red, White, and Blue because America. This net does not disappoint. Here are a couple of pictures of it when I took it out of the box. This is a premium net that comes with a lifetime warranty. 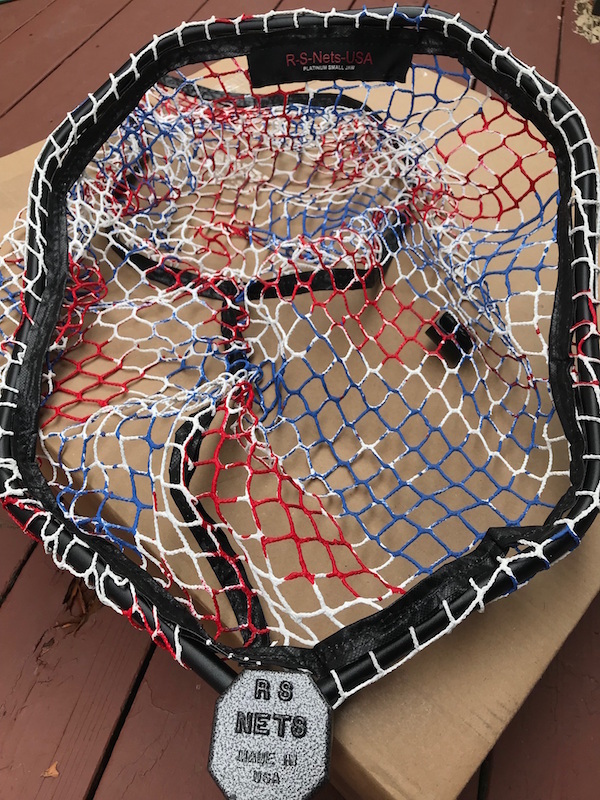 The nets are totally customizable in regards to color, net size, and handle size to name a few. This is one purchase I know I wont regret, and if it falls overboard, i’m jumping in after it.